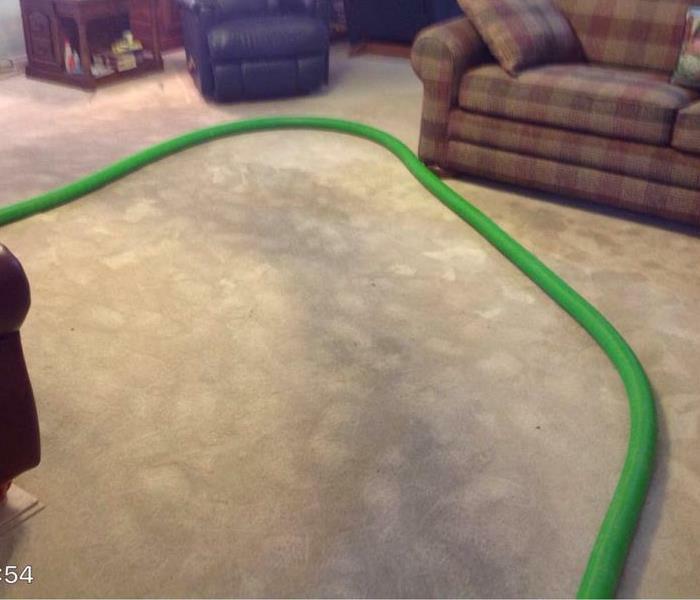 Carpet Cleaning - what a difference SERVPRO makes! Deep Carpet Cleaning from SERVPRO of Helotes and Leon Springs - what a difference SERVPRO makes! 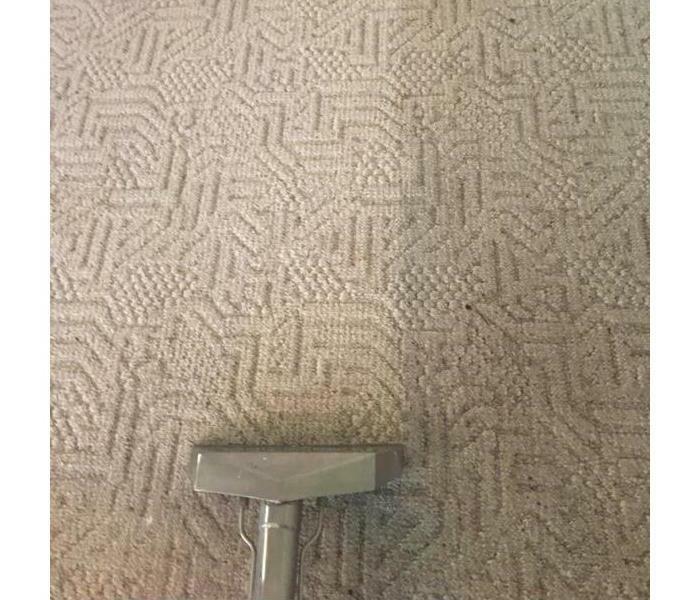 For a deep and thorough carpet cleaning, call today and we can give you an estimate over the phone. We are open Monday through Friday 8:30am to 5pm to give estimates over the phone. 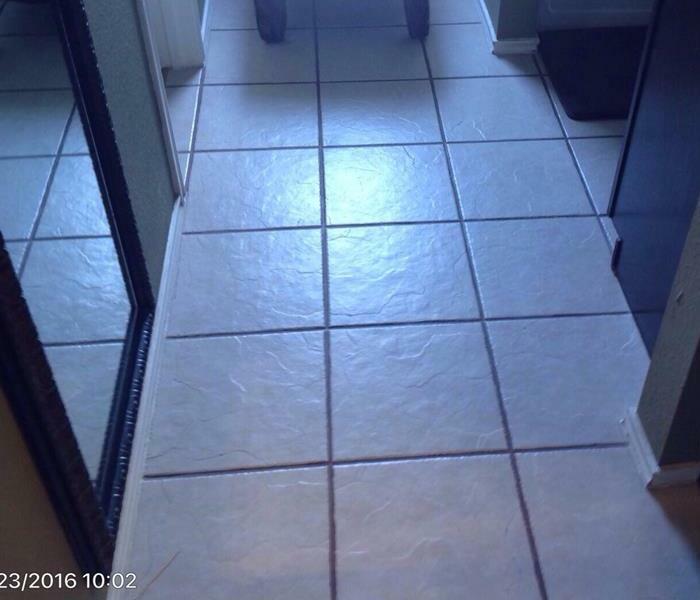 Please call knowing the square feet of each room. Why SERVPRO - we are mold certified! SERVPRO of Helotes and Leon Springs is mold certified for mold remediation. 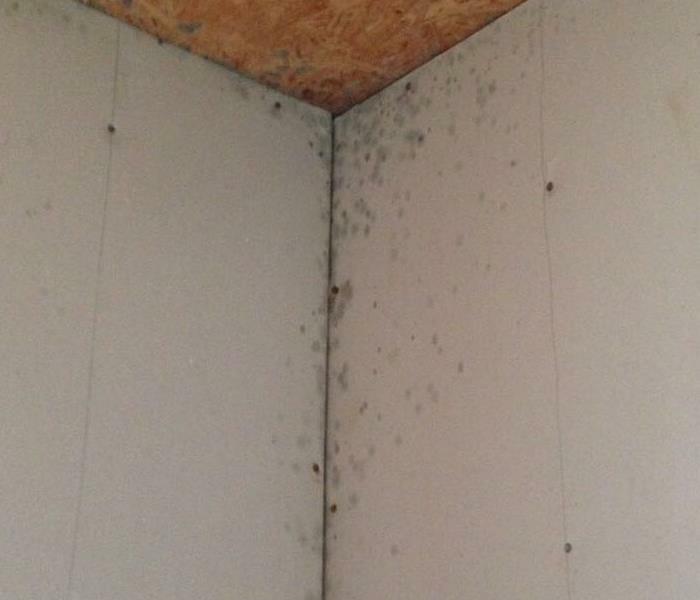 In the state of Texas, a business can either be a mold assessor or a mold remediation company. We are a mold remediation company. Call today if you suspect mold and we can start the process of getting it removed. In this kitchen in Boerne, all drying equipment was needed to remove the water and completely dry out the area. If you've experienced a refrigerator leak or a kitchen flood due to an overflowed sink as well, please do not hesitate to call us today at SERVPRO of Helotes and Leon Springs. 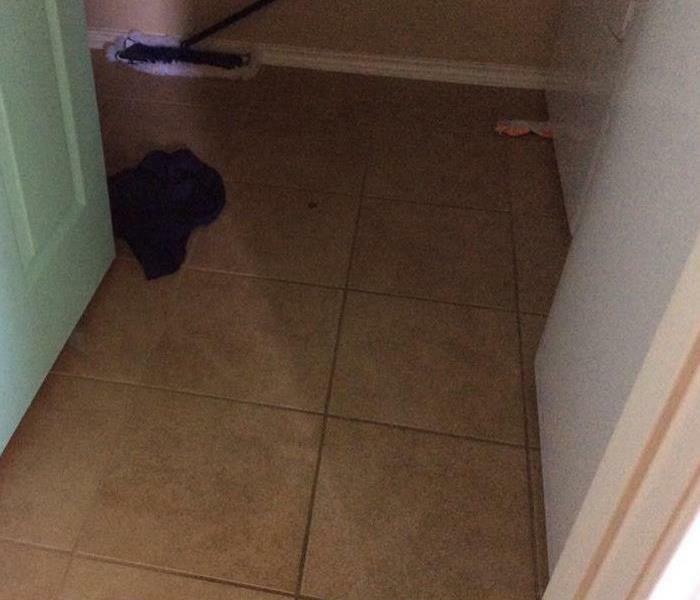 This home in Kerrville suffered a bio hazard event in the bedroom. Unlike other maid/cleaning services, SERVPRO of Helotes and Leon Springs will clean and sanitize Bio Hazard matter. Bio Hazard is considered body or animal fluids or tissue. You can count on SERVPRO of Helotes and Leon Springs to get the job done effectively and safely. In this home in Boerne, the water heater had a slow leak that went unnoticed for long enough for mold to form. The mold was assessed by a mold assessor and SERVPRO Helotes and Leon Springs came in to remediate the mold. If you suspect mold in your home, please call today. This home in Kerrville needed a deep carpet cleaning in the bedroom. If your carpet or upholstery needs cleaning or restoration after deep stains, bio hazard matter, water damage, or smoke damage, SERVPRO of Helotes and Leon Springs is IICRC certified, so you can rest assured your home is in the hands of professionals. Call today! 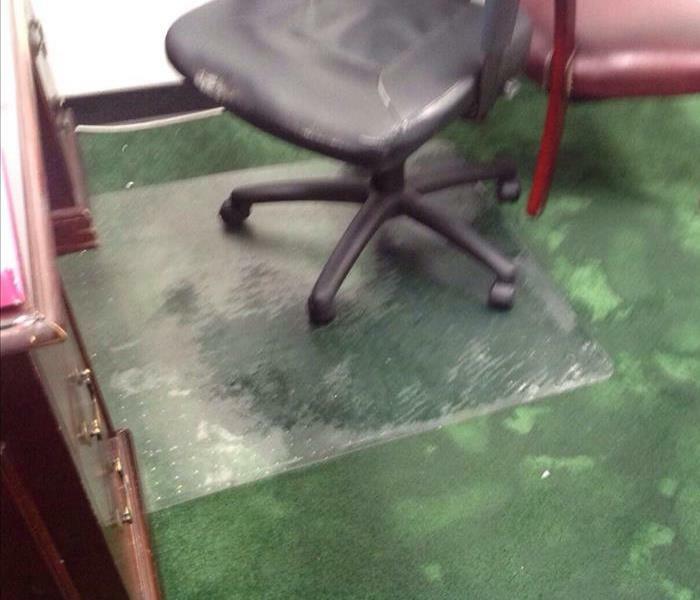 This office experienced water damage when the water line going into their ice maker came loose. 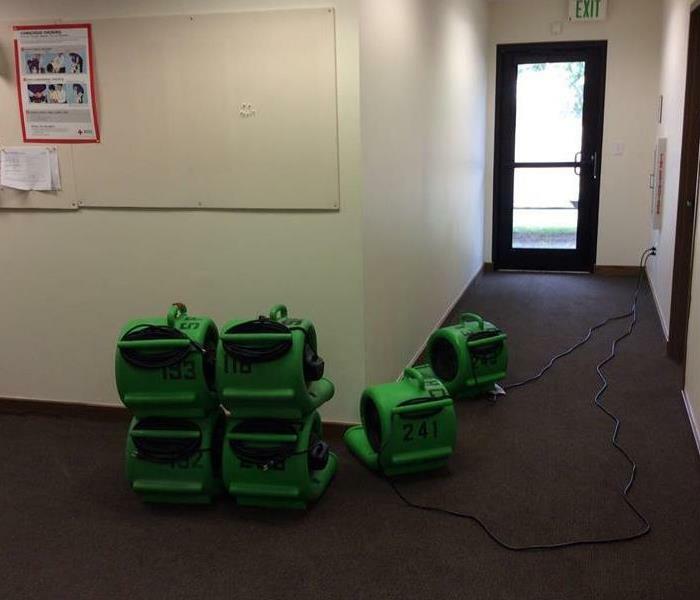 They called SERVPRO of Helotes and Leon Springs to properly dry out all of the affected areas, including this hallway. SERVPRO of Helotes and Leon Springs was called out to this San Antonio office when the employees walked in Monday morning to discover that one of their drinking fountains had been leaking all weekend. 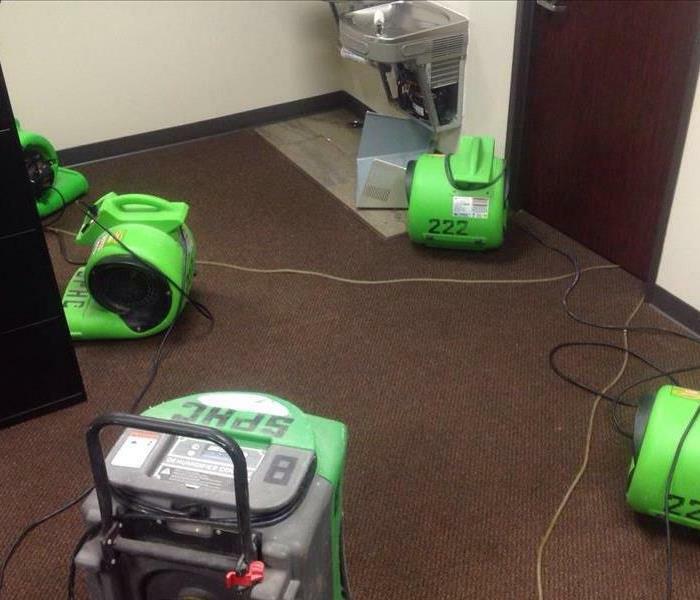 A majority of this office was saturated, but SERVPRO of Helotes and Leon Springs took care of the water damage by setting up air movers and dehumidifiers. Texas has endured some rough weather recently. At the end of February 2017, there were a number of tornadoes that ripped through the San Antonio area causing an extensive amount of damage. SERVPRO of Helotes and Leon Springs received a call from a couple residing in this condo after the roof of their complex experienced damage from the storm. Due to the storm damage on the roof, water was dripping into their unit through the ceiling. Our professionals worked hard to extract the water from the unit and help collect as much of the water that was still dripping from the ceiling as they could. SERVPRO of Helotes and Leon Springs was called out to this San Antonio home after a strong storm caused roof damage and, as a result, flooding inside the home. The storm brought with it heavy rain and strong winds. Our highly-trained professionals tarped over the damage on the roof so that no additional water would enter the home, and the extracted the standing water and thoroughly dried the inside of the home. 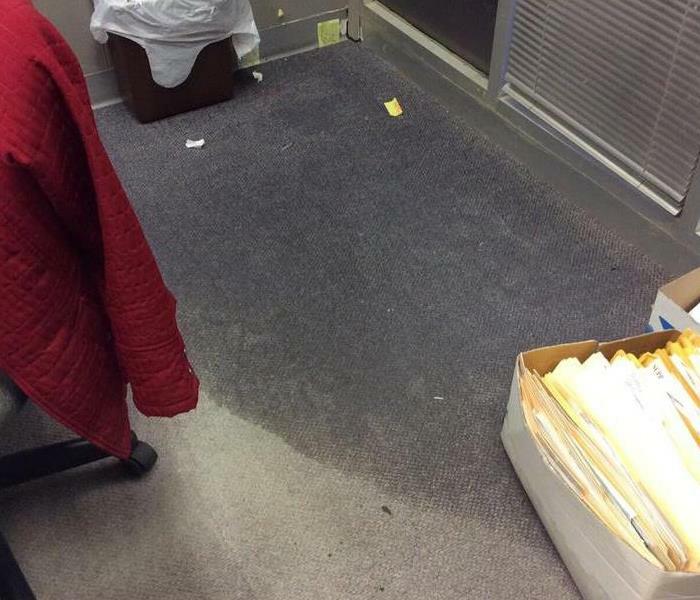 Our professionals at SERVPRO of Helotes and Leon Springs were called out to this San Antonio commercial building after a business experienced a flood in their office. Water damage occurred when a pipe froze and burst. Different kinds of fungus produce different colors of mold. This green mold was discovered in a Leon Springs home that sat vacant for a significant amount of time. The homeowners called us to come out and complete mold remediation on their home. After noticing black spots in the interior of her home, this Helotes homeowner decided to give us, SERVPRO of Helotes and Leon Springs, a call to take care of the mold remediation she needed done. This homeowner gave us a call after a bathroom flooded and experienced water damage in their Boerne home. Initially, SERVPRO of Helotes and Leon Springs came in to remove the standing water and dry out the affected area. When our team started taking out the unsalvageable cabinets, they noticed this patch of black spots - AKA mold - behind where the sink once sat. 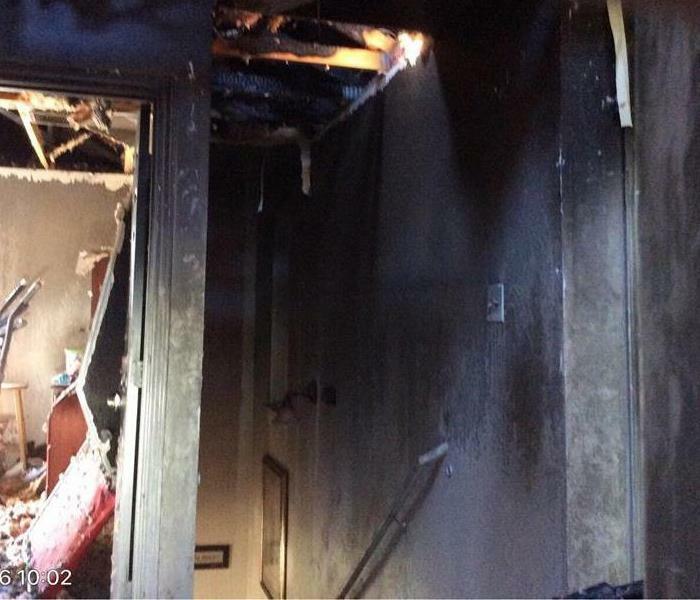 A fire started on the first floor of this home in Boerne, TX and spread to the second floor. 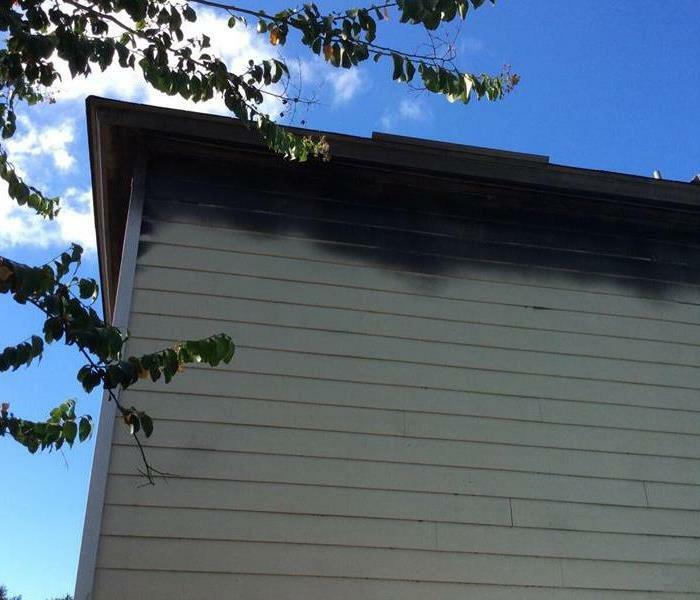 The smoke damage on the exterior of the house was caused when smoke was exiting through air vents in the roof. When a fire broke out in the garage of this Boerne home, the fire spread rapidly to adjacent rooms and evenly the rest of the house. 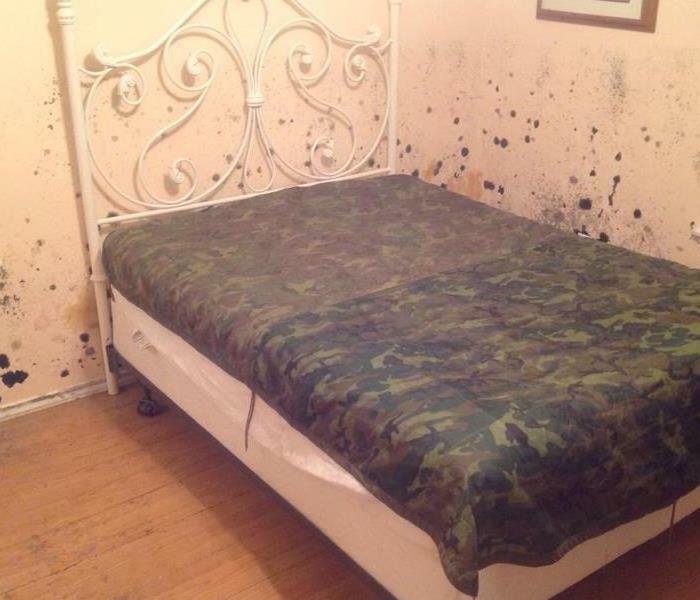 This bedroom was located directly above the garage where the fire started. A fire broke out in a car in the garage of this Boerne home. There was significant damage done and the loss was devastating. This is a picture of the second level, where you can see smoke damage along the staircase wall. 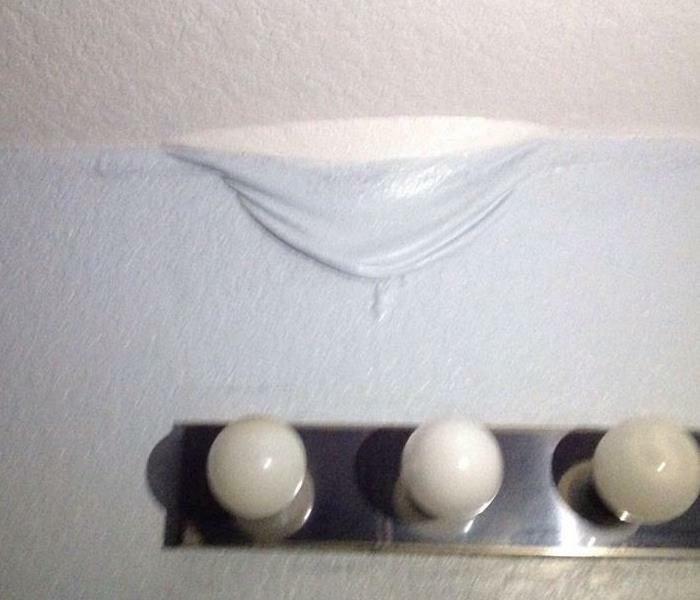 This bathroom water damage was due to a ceiling leak from recent rain in Texas. The water had slowly been seeping into the master bathroom and had caused significant damage behind the bathroom vanity. SERVPRO of Helotes and Leon Springs recently performed water damage remediation on a home in Harper, Texas that had water damage due to storm activity. SERVPRO of Helotes and Leon Springs is here for all of your weather related water remediation needs. It's the water that you don't see that can cause the most damage including secondary damage such as mold. SERVPRO of Helotes and Leon Springs utilizes advanced technology such as this moisture meter to test for this unseen water without causing damage to your home or business. 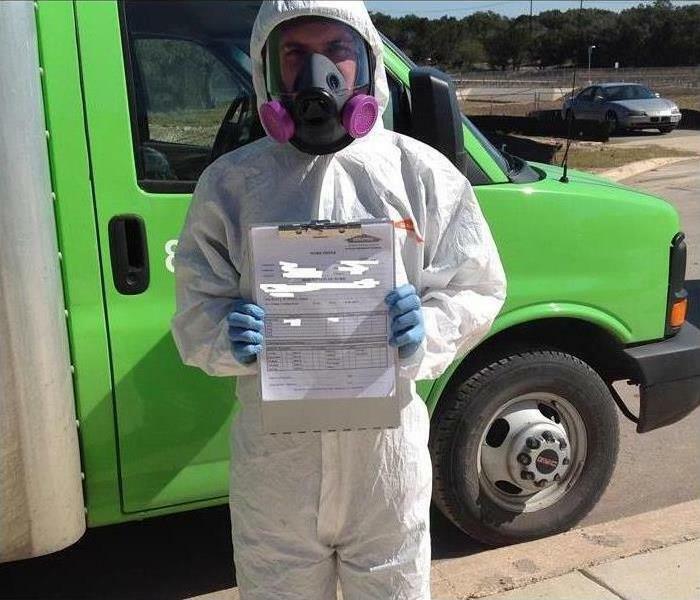 Our production technician wearing his protective personal equipment prior to entering a home with mold growth. SERVPRO of Helotes and Leon Springs knows that safety is of the utmost importance and performs our services to the highest standards. 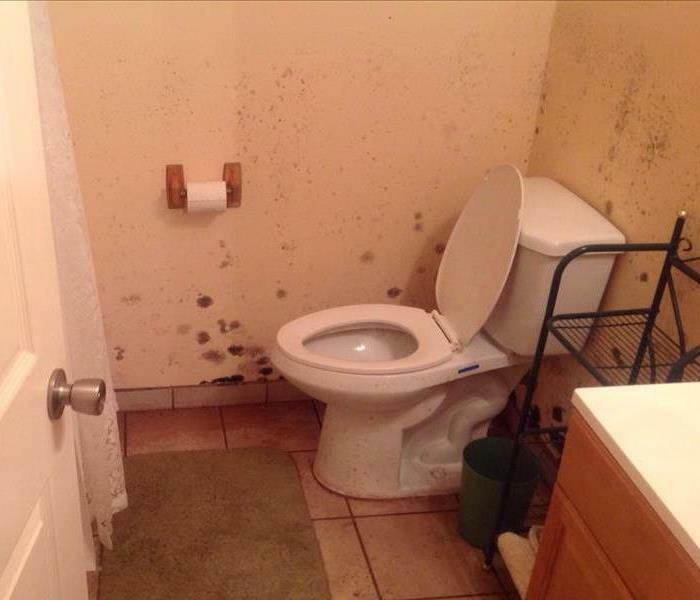 This mold damage shows how truly extensive a water damage can become when not properly remediated by an accredited company. SERVPRO of Helotes and Leon Springs has the certifications and expertise to help remediate water and mold damage. 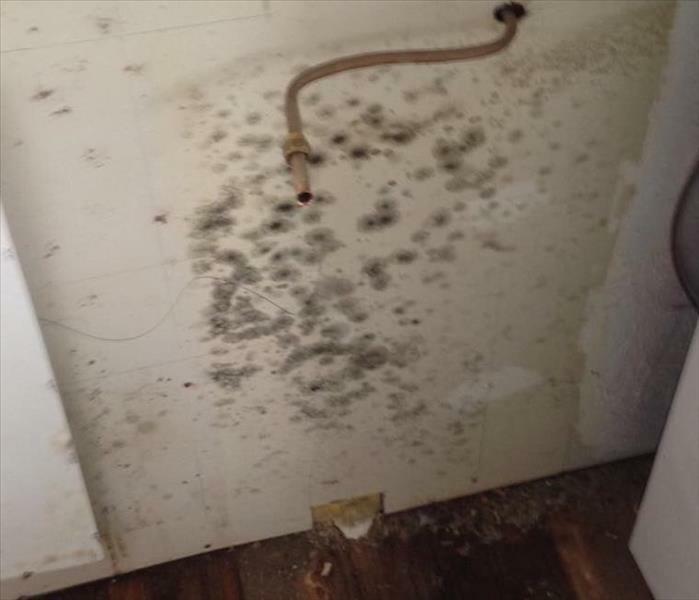 Mold damage can become an expensive project that needs to be handled by the professionals at SERVPRO of The Helotes and Leon Springs. As soon as you see or feel water damage, don't delay and call us today. 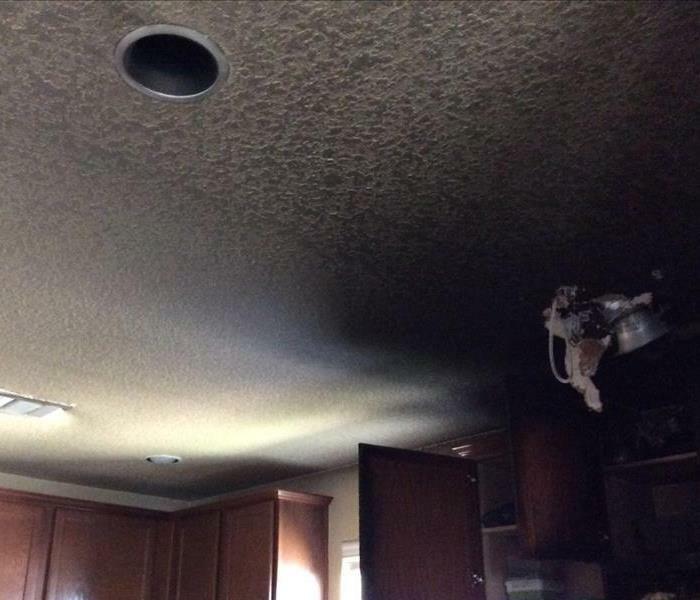 This fire damage in San Antonio was caused by a kitchen fire. 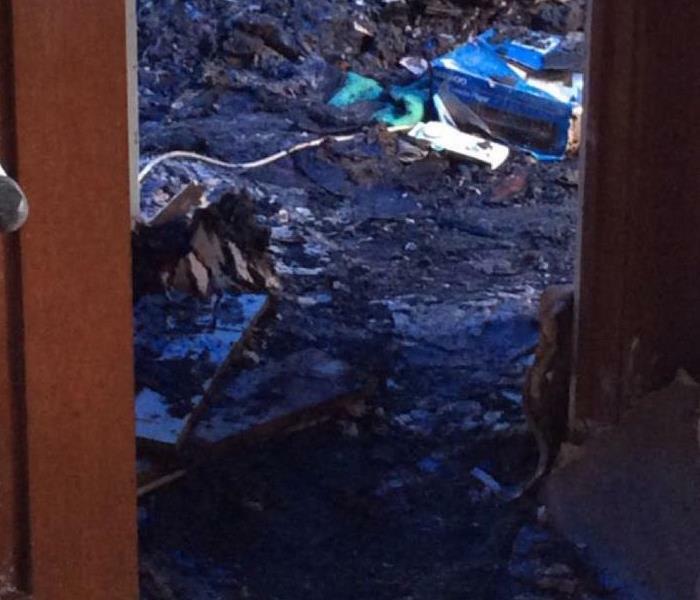 You can see that the floor has soot from the fire damage. 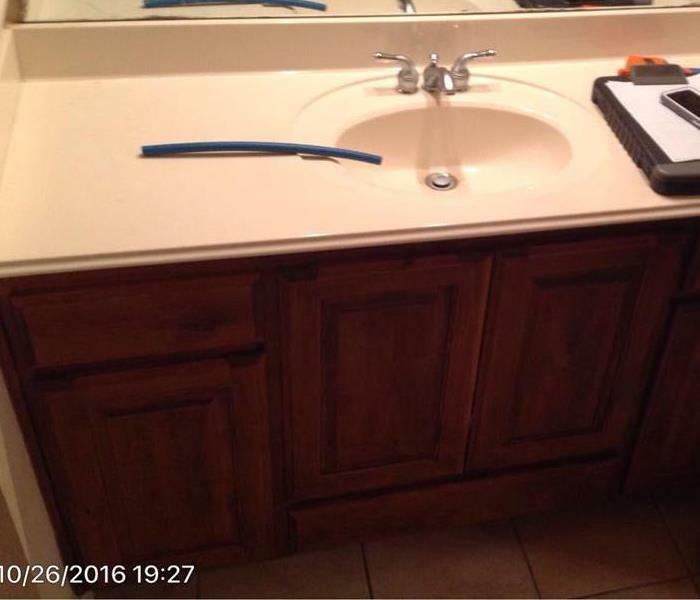 SERVPRO of Helotes and Leon Springs was able to quickly remediate the damage. This storm damage in San Antonio was caused by a recent hail storm that pummeled into our customer's roof. This roof breach then allowed for water to intrude into the home. 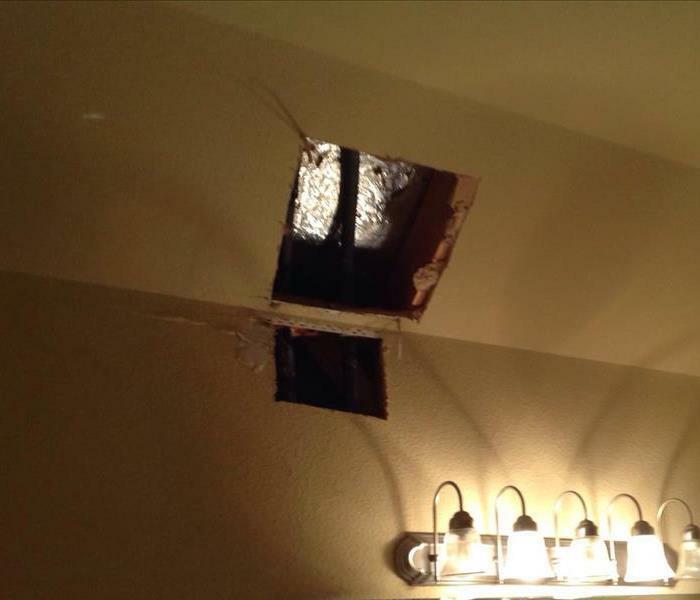 This home in San Antonio suffered damage from a recent rain storm that caused hail to damage their roof in their master bathroom. 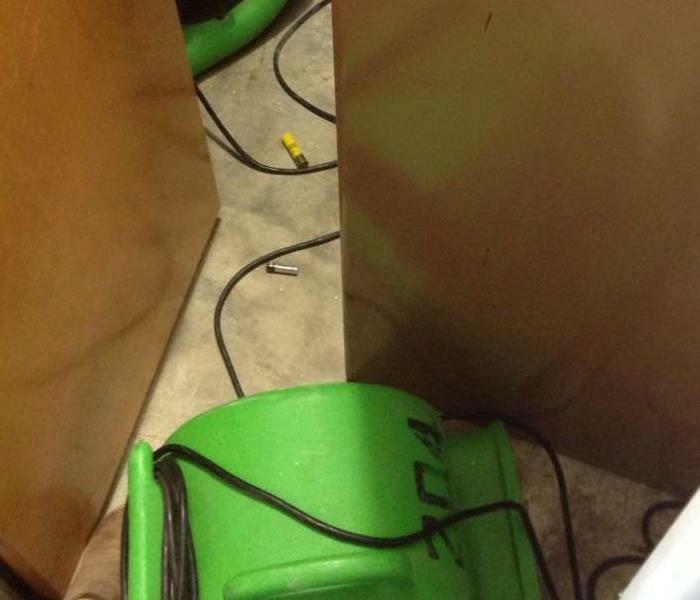 SERVPRO of Helotes and Leon Springs was able to quickly attend to the water damage and begin water remediation processes. 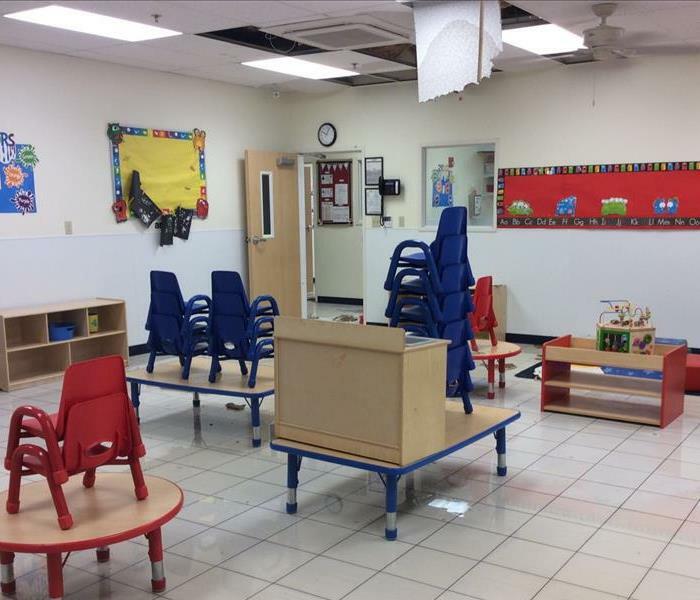 This classroom in Leon Springs experienced water damage due to a malfunction in the sprinkler system. 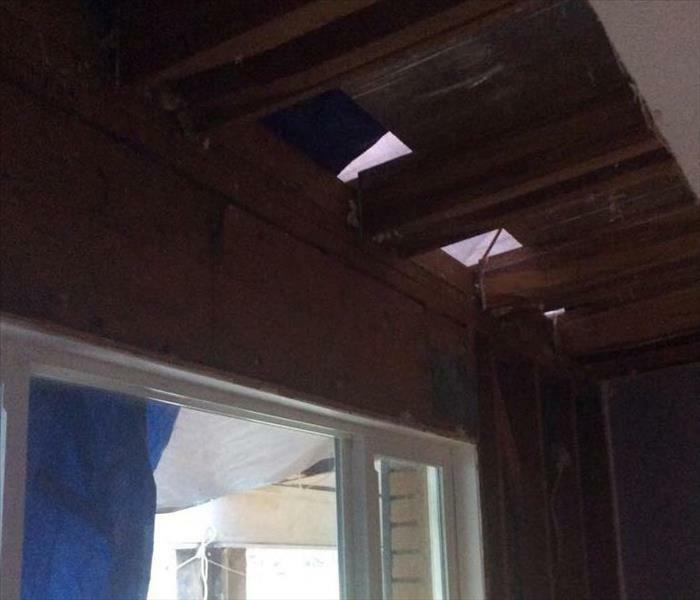 The photo demonstrates the amount of water damage to the ceiling, that was falling down when SERVPRO of Helotes and Leon Springs arrived on site. This commercial building in Leon Springs had water damage due to a malfunction in the sprinkler system. 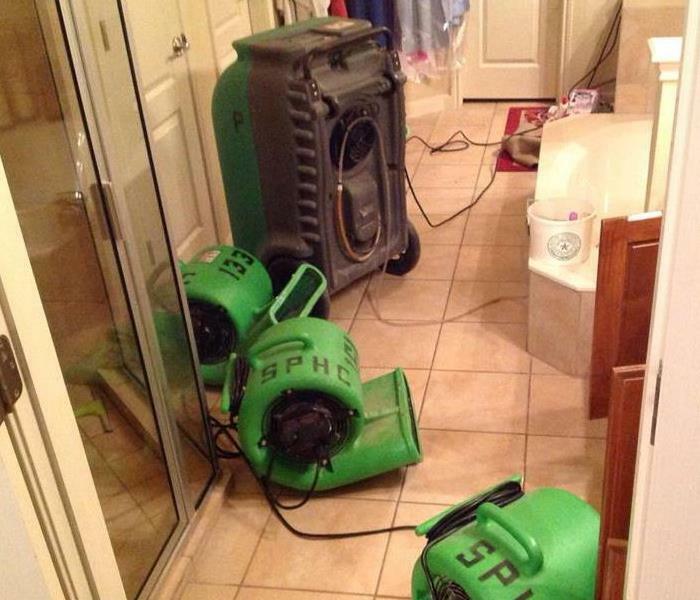 SERVPRO of Helotes and Leon Springs was able to quickly respond and begin the water drying process. This fire damage in San Antonio was caused by an electrical wire malfunction in the attic of this home. Due to the severity of the fire, the fire department was called out to the home and had to use their water hoses to put the fire out. This caused additional water damage to the home. 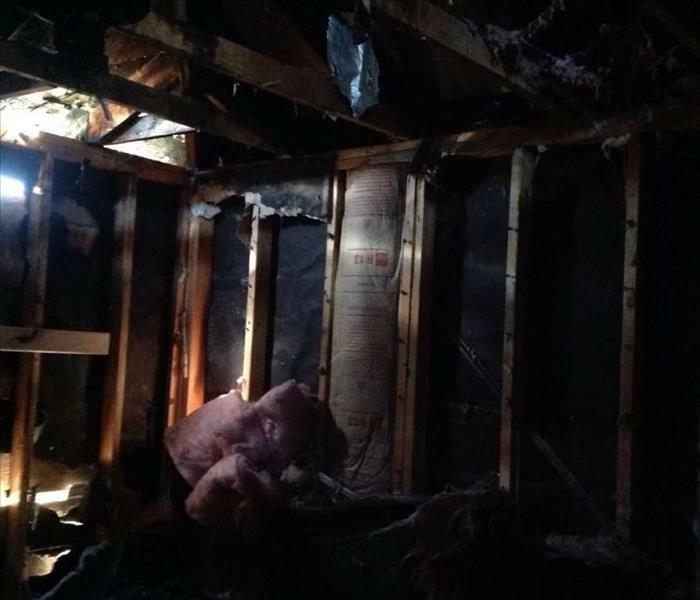 SERVPRO of Helotes and Leon Springs was able to respond quickly to this fire damage and begin the fire/ water remediation process. SERVPRO of Helotes and Leon Springs was recently contacted to begin the fire remediation process at this home in San Antonio, Texas. This fire was caused by a grease fire in the kitchen. 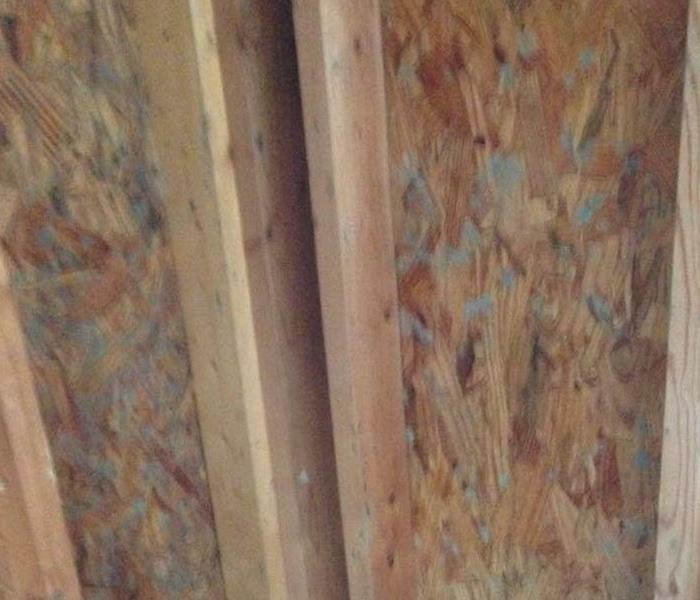 SERVPRO of Helotes and Leon Springs was able to quickly remediate this fire damage. This commercial water damage was the aftermath of recent rain in San Antonio, Texas. When SERVPRO of Helotes and Leon Springs arrived there was significant water damage in throughout the commercial building. SERVPRO of Helotes and Leon Springs was able to arrive quickly and begin the remediation process. This was the aftermath of a kitchen grease fire in San Antonio, TX when we arrived on the scene. There was significant smoke and soot damage throughout the house. The owner was very pleased with how quickly and completely we were able to clean the soot from the walls and ceiling. 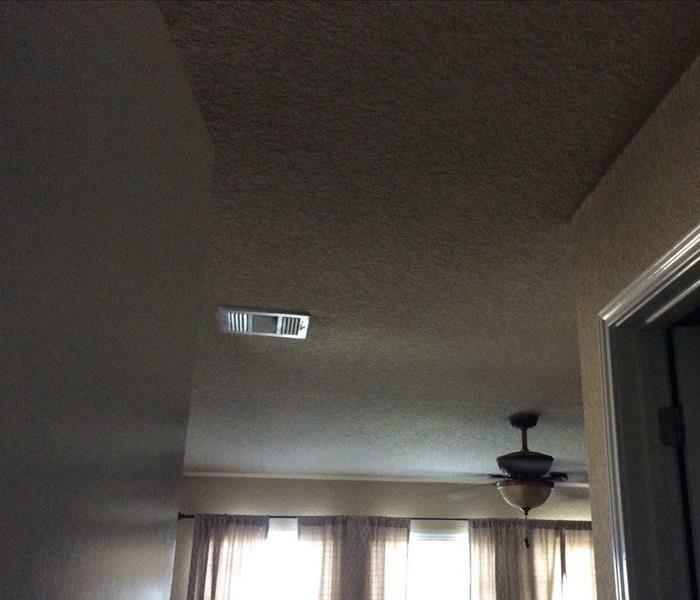 This water damage was the result of a roof leak in San Antonio, Texas. SERVPRO of Helotes and Leon Springs was contacted to begin the remediation process. As you can see in this picture, the water had bubbled on the ceiling. The homeowner was glad to have us out there to dry out his structure. 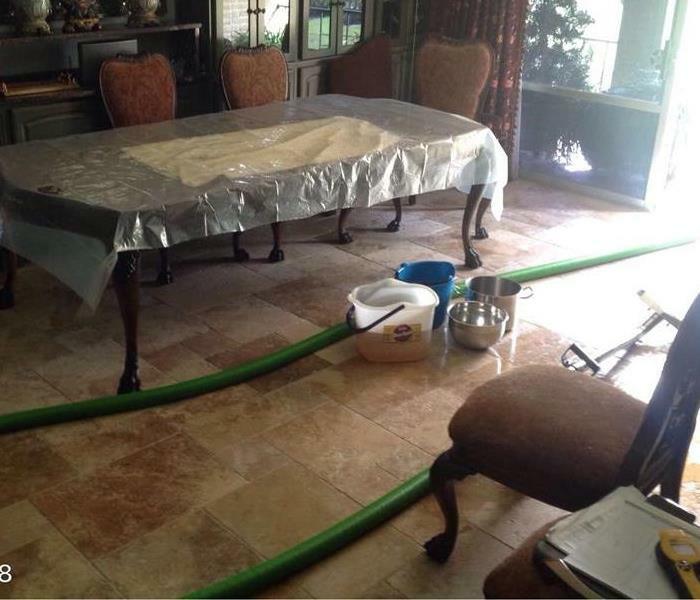 This water damage was the aftermath of a hot water heater leak in San Antonio, TX. There was significant water damage throughout the home. This photo shows a portion of our drying process utilizing air movers to aid in the drying process. 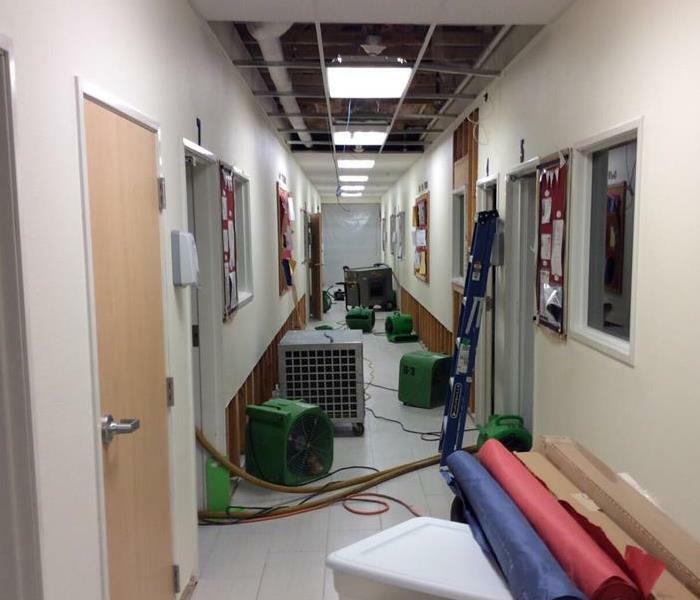 This commercial water damage was the aftermath of the recent rain in San Antonio, Texas. As you can see, there was significant water damage in this commercial building and the carpet was soaked. SERVPRO of Helotes and Leon Springs was able to arrive quickly and begin the remediation process. 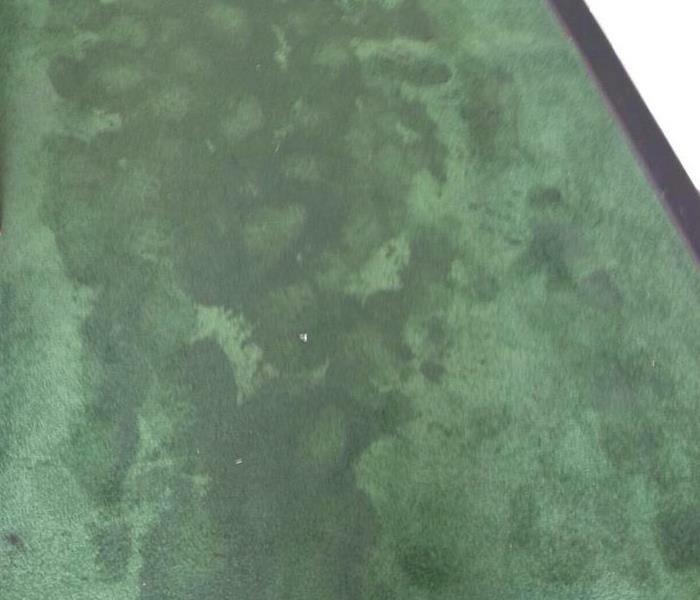 This water damage occurred in San Antonio, Texas caused water to cover this entire carpeted living room. SERVPRO of Helotes and Leon Springs arrived to the water damage and immediately began water extraction. 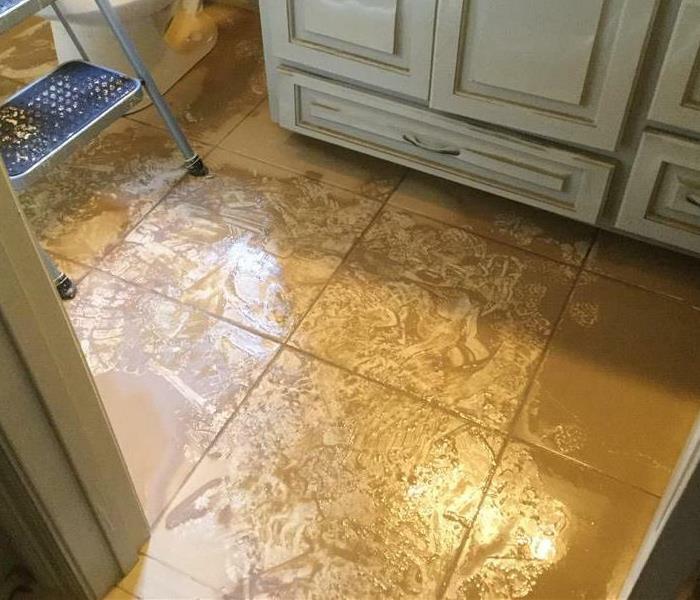 This water damage in San Antonio, Texas was the aftermath of a burst pipe under the sink. There was significant water damage upon our arrival. The owner was very pleased with how quickly we were able to begin the drying process. 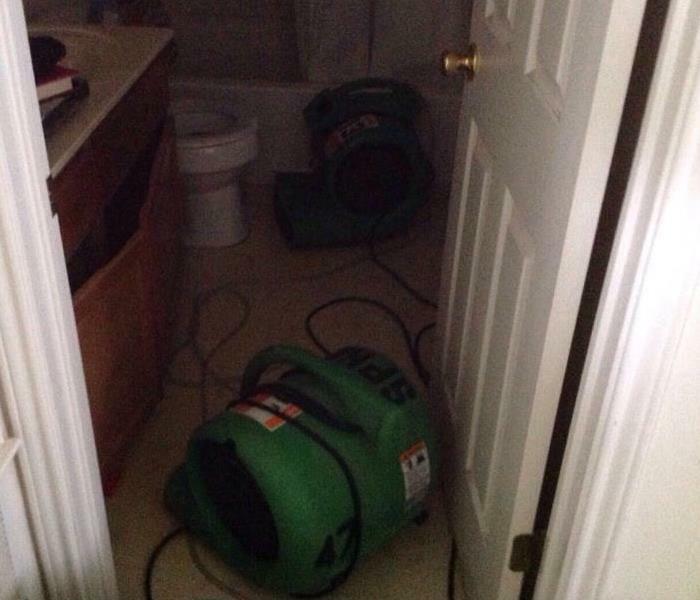 SERVPRO of Helotes and Leon Springs was recently contacted to dry out a home in San Antonio that had experienced water damage due to an overflowing toilet. This photo shows air movers helping to dry the structure.